4155900 FG07-3 KOMATSU FG07-3 LPG/Gasoline forklift. Spare parts catalog. Service Manual. 4155901 FG09-3 KOMATSU FG09-3 LPG/Gasoline forklift. Spare parts catalog. Service Manual. 4155902 FG09L-18 KOMATSU FG09L-18 LPG/Gasoline forklift. Spare parts catalog. Service Manual. 4155903 FG09LC-20 KOMATSU FG09LC-20 LPG/Gasoline forklift. Spare parts catalog. Service Manual. 4155904 FG09LT-20 KOMATSU FG09LT-20 LPG/Gasoline forklift. Spare parts catalog. Service Manual. 4155905 FG09-21 KOMATSU FG09-21 LPG/Gasoline forklift. Spare parts catalog. Service Manual. 4155906 FG10H-1 KOMATSU FG10H-1 LPG/Gasoline forklift. Spare parts catalog. Service Manual. 4155907 FG10S-1 KOMATSU FG10S-1 LPG/Gasoline forklift. Spare parts catalog. Service Manual. 4155908 FG10ST-2 KOMATSU FG10ST-2 LPG/Gasoline forklift. Spare parts catalog. Service Manual. 4155909 FG10-11 KOMATSU FG10-11 LPG/Gasoline forklift. Spare parts catalog. Service Manual. 4155910 FG10C-12 KOMATSU FG10C-12 LPG/Gasoline forklift. Spare parts catalog. Service Manual. 4155911 FG10LC-12 KOMATSU FG10LC-12 LPG/Gasoline forklift. Spare parts catalog. Service Manual. 4155912 FG10T-12 KOMATSU FG10T-12 LPG/Gasoline forklift. Spare parts catalog. Service Manual. 4155913 FG10LT-12 KOMATSU FG10LT-12 LPG/Gasoline forklift. Spare parts catalog. Service Manual. 4155914 FG10C-14 KOMATSU FG10C-14 LPG/Gasoline forklift. Spare parts catalog. Service Manual. 4155915 FG10HC-14 KOMATSU FG10HC-14 LPG/Gasoline forklift. Spare parts catalog. Service Manual. 4155916 FG10HT-14 KOMATSU FG10HT-14 LPG/Gasoline forklift. Spare parts catalog. Service Manual. 4155917 FG10T-14 KOMATSU FG10T-14 LPG/Gasoline forklift. Spare parts catalog. Service Manual. 4155918 FG10-15 KOMATSU FG10-15 LPG/Gasoline forklift. Spare parts catalog. Service Manual. 4155919 FG10-15 KOMATSU FG10-15 LPG/Gasoline forklift. Spare parts catalog. Service Manual. 4155920 FG10D-15 KOMATSU FG10D-15 LPG/Gasoline forklift. Spare parts catalog. Service Manual. 4155921 FG10DC-15 KOMATSU FG10DC-15 LPG/Gasoline forklift. Spare parts catalog. Service Manual. 4155922 FG10DT-15 KOMATSU FG10DT-15 LPG/Gasoline forklift. Spare parts catalog. Service Manual. 4155923 FG10L-15 KOMATSU FG10L-15 LPG/Gasoline forklift. Spare parts catalog. Service Manual. 4155924 FG10NT-15 KOMATSU FG10NT-15 LPG/Gasoline forklift. Spare parts catalog. Service Manual. 4155925 FG10S-15 KOMATSU FG10S-15 LPG/Gasoline forklift. Spare parts catalog. Service Manual. 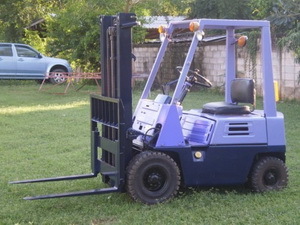 4155926 FG10ST-15 KOMATSU FG10ST-15 LPG/Gasoline forklift. Spare parts catalog. Service Manual. 4155927 FG10C-16 KOMATSU FG10C-16 LPG/Gasoline forklift. Spare parts catalog. Service Manual. 4155928 FG10L-16 KOMATSU FG10L-16 LPG/Gasoline forklift. Spare parts catalog. Service Manual. 4155929 FG10T-16 KOMATSU FG10T-16 LPG/Gasoline forklift. Spare parts catalog. Service Manual. 4155930 FG10C-17 KOMATSU FG10C-17 LPG/Gasoline forklift. Spare parts catalog. Service Manual. 4155931 FG10L-17 KOMATSU FG10L-17 LPG/Gasoline forklift. Spare parts catalog. Service Manual. 4155932 FG10T-17 KOMATSU FG10T-17 LPG/Gasoline forklift. Spare parts catalog. Service Manual. 4155933 FG10L-18 KOMATSU FG10L-18 LPG/Gasoline forklift. Spare parts catalog. Service Manual. 4155934 FG10T-18 KOMATSU FG10T-18 LPG/Gasoline forklift. Spare parts catalog. Service Manual. 4155935 FG10C-20 KOMATSU FG10C-20 LPG/Gasoline forklift. Spare parts catalog. Service Manual. 4155936 FG10HT-20 KOMATSU FG10HT-20 LPG/Gasoline forklift. Spare parts catalog. Service Manual. 4155937 FG10LC-20 KOMATSU FG10LC-20 LPG/Gasoline forklift. Spare parts catalog. Service Manual. 4155938 FG10LT-20 KOMATSU FG10LT-20 LPG/Gasoline forklift. Spare parts catalog. Service Manual. 4155939 FG10T-20 KOMATSU FG10T-20 LPG/Gasoline forklift. Spare parts catalog. Service Manual. 4155940 FG10C-21 KOMATSU FG10C-21 LPG/Gasoline forklift. Spare parts catalog. Service Manual. 4155941 FG10T-21 KOMATSU FG10T-21 LPG/Gasoline forklift. Spare parts catalog. Service Manual. 4155942 FG14-11 KOMATSU FG14-11 LPG/Gasoline forklift. Spare parts catalog. Service Manual. 4155943 FG14C-12 KOMATSU FG14C-12 LPG/Gasoline forklift. Spare parts catalog. Service Manual. 4155944 FG14LC-12 KOMATSU FG14LC-12 LPG/Gasoline forklift. Spare parts catalog. Service Manual. 4155945 FG14T-12 KOMATSU FG14T-12 LPG/Gasoline forklift. Spare parts catalog. Service Manual. 4155946 FG14LT-12 KOMATSU FG14LT-12 LPG/Gasoline forklift. Spare parts catalog. Service Manual. 4155947 FG14T-14 KOMATSU FG14T-14 LPG/Gasoline forklift. Spare parts catalog. Service Manual. 4155948 FG14DC-15 KOMATSU FG14DC-15 LPG/Gasoline forklift. Spare parts catalog. Service Manual. 4155949 FG14DT-15 KOMATSU FG14DT-15 LPG/Gasoline forklift. Spare parts catalog. Service Manual. 4155950 FG14L-15 KOMATSU FG14L-15 LPG/Gasoline forklift. Spare parts catalog. Service Manual. 4155951 FG14T-15 KOMATSU FG14T-15 LPG/Gasoline forklift. Spare parts catalog. Service Manual. 4155952 FG14C-16 KOMATSU FG14C-16 LPG/Gasoline forklift. Spare parts catalog. Service Manual. 4155953 FG14LC-16 KOMATSU FG14LC-16 LPG/Gasoline forklift. Spare parts catalog. Service Manual. 4155954 FG14T-16 KOMATSU FG14T-16 LPG/Gasoline forklift. Spare parts catalog. Service Manual. 4155955 FG14C-17 KOMATSU FG14C-17 LPG/Gasoline forklift. Spare parts catalog. Service Manual. 4155956 FG14LC-17 KOMATSU FG14LC-17 LPG/Gasoline forklift. Spare parts catalog. Service Manual. 4155957 FG14T-17 KOMATSU FG14T-17 LPG/Gasoline forklift. Spare parts catalog. Service Manual. 4155958 FG14C-18 KOMATSU FG14C-18 LPG/Gasoline forklift. Spare parts catalog. Service Manual. 4155959 FG14LC-18 KOMATSU FG14LC-18 LPG/Gasoline forklift. Spare parts catalog. Service Manual. 4155960 FG14T-18 KOMATSU FG14T-18 LPG/Gasoline forklift. Spare parts catalog. Service Manual. 4155961 FG14C-20 KOMATSU FG14C-20 LPG/Gasoline forklift. Spare parts catalog. Service Manual. 4155962 FG14LC-20 KOMATSU FG14LC-20 LPG/Gasoline forklift. Spare parts catalog. Service Manual. 4155963 FG14LT-20 KOMATSU FG14LT-20 LPG/Gasoline forklift. Spare parts catalog. Service Manual. 4155964 FG14T-20 KOMATSU FG14T-20 LPG/Gasoline forklift. Spare parts catalog. Service Manual. 4155965 FG15H-1 KOMATSU FG15H-1 LPG/Gasoline forklift. Spare parts catalog. Service Manual. 4155966 FG15S-1 KOMATSU FG15S-1 LPG/Gasoline forklift. Spare parts catalog. Service Manual. 4155967 FG15ST-2 KOMATSU FG15ST-2 LPG/Gasoline forklift. Spare parts catalog. Service Manual. 4155968 FG15-10 KOMATSU FG15-10 LPG/Gasoline forklift. Spare parts catalog. Service Manual. 4155969 FG15L-10 KOMATSU FG15L-10 LPG/Gasoline forklift. Spare parts catalog. Service Manual. 4155970 FG15-11 KOMATSU FG15-11 LPG/Gasoline forklift. Spare parts catalog. Service Manual. 4155971 FG15C-12 KOMATSU FG15C-12 LPG/Gasoline forklift. Spare parts catalog. Service Manual. 4155972 FG15LC-12 KOMATSU FG15LC-12 LPG/Gasoline forklift. Spare parts catalog. Service Manual. 4155973 FG15T-12 KOMATSU FG15T-12 LPG/Gasoline forklift. Spare parts catalog. Service Manual. 4155974 FG15LT-12 KOMATSU FG15LT-12 LPG/Gasoline forklift. Spare parts catalog. Service Manual. 4155975 FG15C-14 KOMATSU FG15C-14 LPG/Gasoline forklift. Spare parts catalog. Service Manual. 4155976 FG15HC-14 KOMATSU FG15HC-14 LPG/Gasoline forklift. Spare parts catalog. Service Manual. 4155977 FG15HT-14 KOMATSU FG15HT-14 LPG/Gasoline forklift. Spare parts catalog. Service Manual. 4155978 FG15T-14 KOMATSU FG15T-14 LPG/Gasoline forklift. Spare parts catalog. Service Manual. 4155979 FG15C-15 KOMATSU FG15C-15 LPG/Gasoline forklift. Spare parts catalog. Service Manual. 4155980 FG15DC-15 KOMATSU FG15DC-15 LPG/Gasoline forklift. Spare parts catalog. Service Manual. 4155981 FG15DT-15 KOMATSU FG15DT-15 LPG/Gasoline forklift. Spare parts catalog. Service Manual. 4155982 FG15HDC-15 KOMATSU FG15HDC-15 LPG/Gasoline forklift. Spare parts catalog. Service Manual. 4155983 FG15HNT-15 KOMATSU FG15HNT-15 LPG/Gasoline forklift. Spare parts catalog. Service Manual. 4155984 FG15HT-15 KOMATSU FG15HT-15 LPG/Gasoline forklift. Spare parts catalog. Service Manual. 4155985 FG15L-15 KOMATSU FG15L-15 LPG/Gasoline forklift. Spare parts catalog. Service Manual. 4155986 FG15NC-15 KOMATSU FG15NC-15 LPG/Gasoline forklift. Spare parts catalog. Service Manual. 4155987 FG15NT-15 KOMATSU FG15NT-15 LPG/Gasoline forklift. Spare parts catalog. Service Manual. 4155988 FG15ST-15 KOMATSU FG15ST-15 LPG/Gasoline forklift. Spare parts catalog. Service Manual. 4155989 FG15C-16 KOMATSU FG15C-16 LPG/Gasoline forklift. Spare parts catalog. Service Manual. 4155990 FG15HC-16 KOMATSU FG15HC-16 LPG/Gasoline forklift. Spare parts catalog. Service Manual. 4155991 FG15HT-16 KOMATSU FG15HT-16 LPG/Gasoline forklift. Spare parts catalog. Service Manual. 4155992 FG15LC-16 KOMATSU FG15LC-16 LPG/Gasoline forklift. Spare parts catalog. Service Manual. 4155993 FG15LT-16 KOMATSU FG15LT-16 LPG/Gasoline forklift. Spare parts catalog. Service Manual. 4155994 FG15ST-16 KOMATSU FG15ST-16 LPG/Gasoline forklift. Spare parts catalog. Service Manual. 4155995 FG15T-16 KOMATSU FG15T-16 LPG/Gasoline forklift. Spare parts catalog. Service Manual. 4155996 FG15C-17 KOMATSU FG15C-17 LPG/Gasoline forklift. Spare parts catalog. Service Manual. 4155997 FG15HC-17 KOMATSU FG15HC-17 LPG/Gasoline forklift. Spare parts catalog. Service Manual. 4155998 FG15HT-17 KOMATSU FG15HT-17 LPG/Gasoline forklift. Spare parts catalog. Service Manual. 4155999 FG15LC-17 KOMATSU FG15LC-17 LPG/Gasoline forklift. Spare parts catalog. Service Manual. 4156000 FG15LT-17 KOMATSU FG15LT-17 LPG/Gasoline forklift. Spare parts catalog. Service Manual. 4156001 FG15ST-17 KOMATSU FG15ST-17 LPG/Gasoline forklift. Spare parts catalog. Service Manual. 4156002 FG15T-17 KOMATSU FG15T-17 LPG/Gasoline forklift. Spare parts catalog. Service Manual. 4156003 FG15C-18 KOMATSU FG15C-18 LPG/Gasoline forklift. Spare parts catalog. Service Manual. 4156004 FG15HT-18 KOMATSU FG15HT-18 LPG/Gasoline forklift. Spare parts catalog. Service Manual. 4156005 FG15LC-18 KOMATSU FG15LC-18 LPG/Gasoline forklift. Spare parts catalog. Service Manual. 4156006 FG15LT-18 KOMATSU FG15LT-18 LPG/Gasoline forklift. Spare parts catalog. Service Manual. 4156007 FG15T-18 KOMATSU FG15T-18 LPG/Gasoline forklift. Spare parts catalog. Service Manual. 4156008 FG15C-20 KOMATSU FG15C-20 LPG/Gasoline forklift. Spare parts catalog. Service Manual. 4156009 FG15HC-20 KOMATSU FG15HC-20 LPG/Gasoline forklift. Spare parts catalog. Service Manual. 4156010 FG15HT-20 KOMATSU FG15HT-20 LPG/Gasoline forklift. Spare parts catalog. Service Manual. 4156011 FG15LC-20 KOMATSU FG15LC-20 LPG/Gasoline forklift. Spare parts catalog. Service Manual. 4156012 FG15LT-20 KOMATSU FG15LT-20 LPG/Gasoline forklift. Spare parts catalog. Service Manual. 4156013 FG15SHT-20 KOMATSU FG15SHT-20 LPG/Gasoline forklift. Spare parts catalog. Service Manual. 4156014 FG15T-20 KOMATSU FG15T-20 LPG/Gasoline forklift. Spare parts catalog. Service Manual. 4156015 FG15C-21 KOMATSU FG15C-21 LPG/Gasoline forklift. Spare parts catalog. Service Manual. 4156016 FG15HC-21 KOMATSU FG15HC-21 LPG/Gasoline forklift. Spare parts catalog. Service Manual. 4156017 FG15HT-21 KOMATSU FG15HT-21 LPG/Gasoline forklift. Spare parts catalog. Service Manual. 4156018 FG15T-21 KOMATSU FG15T-21 LPG/Gasoline forklift. Spare parts catalog. Service Manual. 4156019 FG18ST-2 KOMATSU FG18ST-2 LPG/Gasoline forklift. Spare parts catalog. Service Manual. 4156020 FG18C-12 KOMATSU FG18C-12 LPG/Gasoline forklift. Spare parts catalog. Service Manual. 4156021 FG18LC-12 KOMATSU FG18LC-12 LPG/Gasoline forklift. Spare parts catalog. Service Manual. 4156022 FG18T-12 KOMATSU FG18T-12 LPG/Gasoline forklift. Spare parts catalog. Service Manual. 4156023 FG18C-14 KOMATSU FG18C-14 LPG/Gasoline forklift. Spare parts catalog. Service Manual. 4156024 FG18HC-14 KOMATSU FG18HC-14 LPG/Gasoline forklift. Spare parts catalog. Service Manual. 4156025 FG18HT-14 KOMATSU FG18HT-14 LPG/Gasoline forklift. Spare parts catalog. Service Manual. 4156026 FG18T-14 KOMATSU FG18T-14 LPG/Gasoline forklift. Spare parts catalog. Service Manual. 4156027 FG18C-15 KOMATSU FG18C-15 LPG/Gasoline forklift. Spare parts catalog. Service Manual. 4156028 FG18DT-15 KOMATSU FG18DT-15 LPG/Gasoline forklift. Spare parts catalog. Service Manual. 4156029 FG18HDC-15 KOMATSU FG18HDC-15 LPG/Gasoline forklift. Spare parts catalog. Service Manual. 4156030 FG18HDT-15 KOMATSU FG18HDT-15 LPG/Gasoline forklift. Spare parts catalog. Service Manual. 4156031 FG18HT-15 KOMATSU FG18HT-15 LPG/Gasoline forklift. Spare parts catalog. Service Manual. 4156032 FG18L-15 KOMATSU FG18L-15 LPG/Gasoline forklift. Spare parts catalog. Service Manual. 4156033 FG18NT-15 KOMATSU FG18NT-15 LPG/Gasoline forklift. Spare parts catalog. Service Manual. 4156034 FG18ST-15 KOMATSU FG18ST-15 LPG/Gasoline forklift. Spare parts catalog. Service Manual. 4156035 FG18T-15 KOMATSU FG18T-15 LPG/Gasoline forklift. Spare parts catalog. Service Manual. 4156036 FG18C-16 KOMATSU FG18C-16 LPG/Gasoline forklift. Spare parts catalog. Service Manual. 4156037 FG18HT-16 KOMATSU FG18HT-16 LPG/Gasoline forklift. Spare parts catalog. Service Manual. 4156038 FG18LC-16 KOMATSU FG18LC-16 LPG/Gasoline forklift. Spare parts catalog. Service Manual. 4156039 FG18ST-16 KOMATSU FG18ST-16 LPG/Gasoline forklift. Spare parts catalog. Service Manual. 4156040 FG18T-16 KOMATSU FG18T-16 LPG/Gasoline forklift. Spare parts catalog. Service Manual. 4156041 FG18C-17 KOMATSU FG18C-17 LPG/Gasoline forklift. Spare parts catalog. Service Manual. 4156042 FG18HC-17 KOMATSU FG18HC-17 LPG/Gasoline forklift. Spare parts catalog. Service Manual. 4156043 FG18HT-17 KOMATSU FG18HT-17 LPG/Gasoline forklift. Spare parts catalog. Service Manual. 4156044 FG18LC-17 KOMATSU FG18LC-17 LPG/Gasoline forklift. Spare parts catalog. Service Manual. 4156045 FG18ST-17 KOMATSU FG18ST-17 LPG/Gasoline forklift. Spare parts catalog. Service Manual. 4156046 FG18T-17 KOMATSU FG18T-17 LPG/Gasoline forklift. Spare parts catalog. Service Manual. 4156047 FG18C-18 KOMATSU FG18C-18 LPG/Gasoline forklift. Spare parts catalog. Service Manual. 4156048 FG18HT-18 KOMATSU FG18HT-18 LPG/Gasoline forklift. Spare parts catalog. Service Manual. 4156049 FG18LC-18 KOMATSU FG18LC-18 LPG/Gasoline forklift. Spare parts catalog. Service Manual. 4156050 FG18T-18 KOMATSU FG18T-18 LPG/Gasoline forklift. Spare parts catalog. Service Manual. 4156051 FG18C-20 KOMATSU FG18C-20 LPG/Gasoline forklift. Spare parts catalog. Service Manual. 4156052 FG18HC-20 KOMATSU FG18HC-20 LPG/Gasoline forklift. Spare parts catalog. Service Manual. 4156053 FG18HT-20 KOMATSU FG18HT-20 LPG/Gasoline forklift. Spare parts catalog. Service Manual. 4156054 FG18LC-20 KOMATSU FG18LC-20 LPG/Gasoline forklift. Spare parts catalog. Service Manual. 4156055 FG18LT-20 KOMATSU FG18LT-20 LPG/Gasoline forklift. Spare parts catalog. Service Manual. 4156056 FG18SHT-20 KOMATSU FG18SHT-20 LPG/Gasoline forklift. Spare parts catalog. Service Manual. 4156057 FG18T-20 KOMATSU FG18T-20 LPG/Gasoline forklift. Spare parts catalog. Service Manual. 4156058 FG18C-21 KOMATSU FG18C-21 LPG/Gasoline forklift. Spare parts catalog. Service Manual. 4156059 FG18HC-21 KOMATSU FG18HC-21 LPG/Gasoline forklift. Spare parts catalog. Service Manual. 4156060 FG18HT-21 KOMATSU FG18HT-21 LPG/Gasoline forklift. Spare parts catalog. Service Manual. 4156061 FG18T-21 KOMATSU FG18T-21 LPG/Gasoline forklift. Spare parts catalog. Service Manual.